What is structural steel? Purpose, use and most popular sections. We are structural steel fabricators that specialise in structural steel. 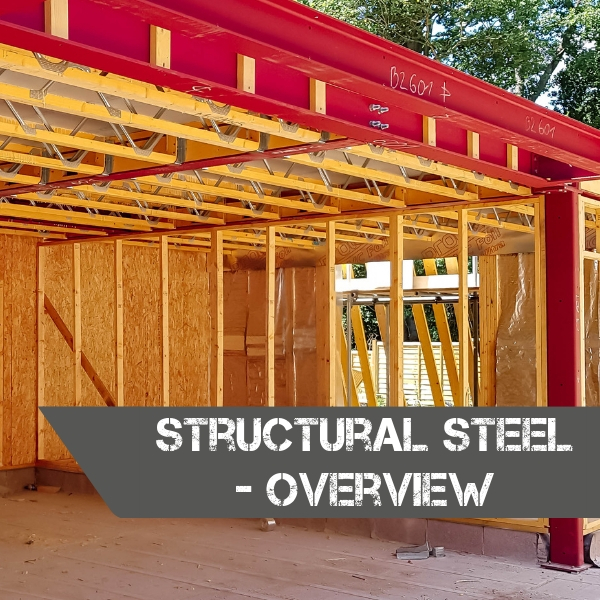 Read our short overview what structural steel is, where is it used and what are the most popular steel sections. In the most basic definition, structural steel is defined as steel shaped for use in construction for buildings purposes. Having high strength, stiffness, toughness, and ductile properties, structural steel is one of the most commonly used materials in commercial and industrial building construction. Many structural steel shapes take the form of an elongated beam having a profile of a specific cross-section. Structural steel shapes, sizes, chemical composition, mechanical properties such as strengths, storage practices, etc., are regulated by standards in most industrialized countries. Steel can be developed into nearly any shapes, which are either bolted or welded together in construction. Structural steel can be erected as soon as the materials are delivered on-site, whereas e.g. concrete must be cured at least 1–2 weeks after pouring before construction can continue, making steel a schedule-friendly construction material. The density of steel varies based on the alloying constituents but usually ranges between 7,750 and 8,050 kg/m3. UC – universal column or UB – universal beam. In Europe it includes the IPE, HE, HL, HD, and other sections; in the US it includes Wide Flange (WF or W-Shape) and H sections). Universal columns are the most often used sections for structural steel purposes. Unlike a universal beam, the UC’s width is roughly equal to their depth. For example, a 152 UC 23 is 152 mm wide and 152 mm deep and 152*89 UB 16 is 89mm wide and 152mm deep. The last number (23 in this example) is the weight per meter in kilograms. It is therefore easy to work out what is the total weight of a UC by simply multiplying its weight per meter by the total length in meters. Universal columns are mainly used for columns, however, their small depth compared to universal beams make them ideal load bearing members when height is limited. HSS-Shape – (Hollow structural section, also known as SHS (structural hollow section), including square, rectangular RHS, circular CHS (pipe). Hollow sections are often used as columns, they are not commonly used as beams due to the shape that makes it difficult to bolt to other beams. For example, if you have 100 x 100 x 10 SHS, the column will be 100 mm deep, 100 mm wide and 10 mm thick. Circular hollow sections are used as columns and braces in portal frames structures. For example, 114.3 x 5 CHS, has a diameter of 114.3 mm and the wall is 5 mm thick. Angle (L-shaped cross-section) – RSA-e (equal) and RSA (unequal). Rolled steel angle – equal is normally called an “angle”, “equal angle” or “L-shape”. Even though both legs are the same length, they are described by giving both leg lengths and the wall thickness (all in mm), eg. 100 x 100 x 12 RSA. For structural steel purposes, equal angles are often used for brackets for cleat connections. Sometimes they are also used as lintels (2 angles bolted back to back). Rolled steel angle – unequal is called “angle” or “L-shape”. They are described by giving both leg lengths (longer first) and the wall thickness (all in mm), eg. 150 x 100 x 8 RSA. With the longer leg being in a vertical position, its loading capabilities are greater than equal angles, therefore they are often used as lintels. Unequal angles are also used as brackets for cleat connections. Both types of angles are often used for balconies, platforms, stairs, concrete supports, etc. Structural channel – PFC. Parallel flange channel is normally called a channel or a “C-section”. They are described by their depth, width and weight per meter in kilograms, eg. 150 x 75 x 18 PFC. The PFC is used for columns, lintels above doors or simply a beam supporting floor joists. When used for lintels, they have a bottom plate welded to it that takes the outer bricks or 2 channels are bolted back to back with 100 mm spacers to support both leaves of a cavity wall. Plate- FLT, metal sheets thicker than 6 mm or 1⁄4 in. Flat sections are used anywhere where a connection between 2 beams is required. They are used for base plates, end plates, stiffeners, gussets, tabs, splice plates and many more. In some cases, they add strength to a beam when welded along the length of a beam (top or bottom). Flat sections are described by its width and thickness, eg. 200 x 12 Flat (both in mm). When a flat section is cut into smaller pieces, then they are called “plates”. Sometimes flat sections are used to reinforce timber joists (“flitch beam”) by bolting it to the joist every 400 – 600 mm. Why 152mm is the number in cross section rather than 150 mm? In the United Kingdom, these steel sections are commonly specified with a code consisting of the major dimension where all measurements being metric. Therefore, a 152x152x23UC would be a column section (UC = universal column) of approximately 152 mm (6.0 in) depth 152 mm width and weighing 23 kg/m (46 lb/yd) of length. So, the metric number comes from inches. 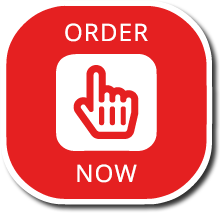 Browse our website to learn more about steel profiles: sections, connections, structures and finishes. Previous Post What is our Purpose? 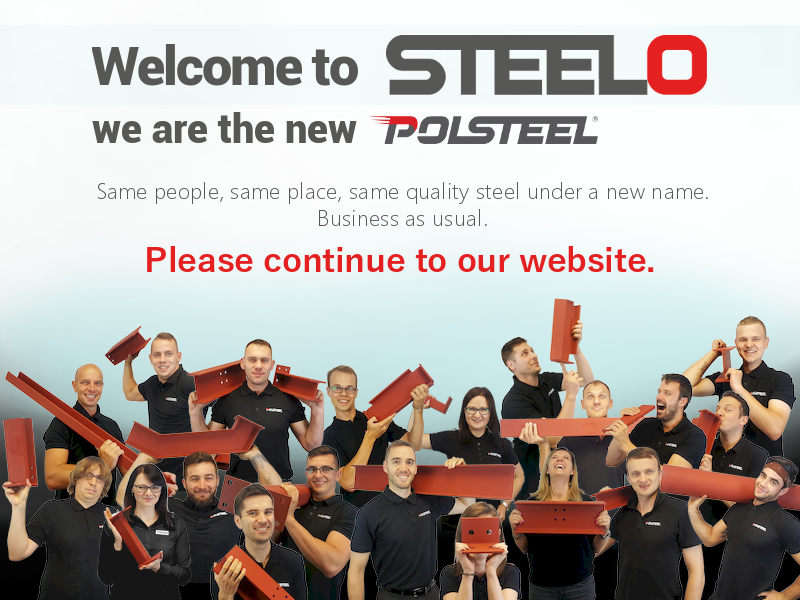 Next Post Steelo Decalogue – the core values we stand for!